How can someone measure his/her sleeping quality? How important water is for our daily living, sleep is equally as important to rejuvenate our body. Imagine yourself not having a quality sleep can have an impact on your performance the next day at work, the reason is sleep deprivation which to large extent affects our prefrontal cortex. The prefrontal cortex is just like the cream on our cakes located front of the brain just behind the forehead, in charge of abstract thinking and thought analysis, it is also responsible for regulating behavior. This includes mediating conflicting thoughts, making choices between right and wrong, and predicting the probable outcomes of actions or events. It acts as a filter to prevent oneself from irrelevant information interfering the task on hand. With years of experience in this field, I have analyzed quite a number of brain waves using EEG Bio feedback at SOL, in most cases clients with sleep issue often lack in focus and have higher tendency to become restless. E.g. even for young kids with excessive slow brain waves on the prefrontal cortex tend to suffer from attention deficit, hyperactive behavior which is not very surprising because at the end of the day I often check with the parents on their sleeping patterns and there it goes. Sometimes craving for sweet or high carbohydrate diet such as rice, noodles can be result of insufficient sleep, this is due to sleep deprivation that disrupts your body function which is responsible for regulating your appetite and research have proven. I would like to share my experience in helping a client, Juliet to manage her sleeping problems and issues caused by sleep deprivation. 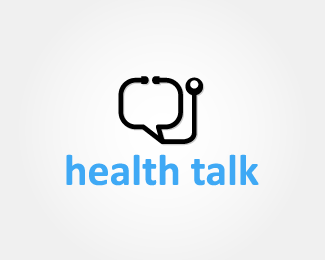 “Juliet is a corporate executive, and recently she was bothered by some health concerns which worried her so much that she sought help from us. She was losing focus in her work and experiencing fatigue very frequently. She did not take these signs seriously until one day she passed out in her office. Initially, she thought she was having autonomic nervous system dysfunction as she experienced symptoms such as excessive fatigue, blood pressure fluctuations, rapid heart rate, dizziness and digestive problem.Autonomic nervous system dysfunction generally involves impairment of the sympathetic or parasympathetic components of our autonomic nervous system. The sympathetic nervous system functions like a gas pedal in a car. It triggers the fight-or-flight response, giving the body a burst of energy to respond to perceived dangers. The parasympathetic nervous system acts like a brake. It arouses the “rest and digest” response that can calm the body down after the danger has passed. Just imagine that, if your brake and gas pedal is not working accordingly? You might experience symptoms similar to Juliet’s or even worst. Juliet had undergone a health assessment in our centre and the result showed that the main issue in Juliet is not the autonomic nervous system dysfunction but related to her sleeping quality and quantity. To find out more about her concern, a brainwave assessment was conducted on her. According to the result, it showed that there are excessive slow brainwaves on her prefrontal cortex which would lead to impairment on her executive functioning. This is the major reason why she was having focus problem, poor mental stamina, short attention span and related issue. Scientific studies have shown that sleep deprivation would bring negative impacts on brain regions like memory and emotions causing development of anxiety related issue. Therefore, Juliet was having anxiety symptoms like indigestion, rapid heart rate and dizziness issue as well. Issues related to Juliet’s sleep deprivation have affected her work performance and daily activities. To help her effectively improve her sleeping quality, Brain Trainer, the non-drug, evidence - based EEG Biofeedback therapy and Neuro-hypnotherapy are suggested to her. Sleeping pills are not recommended as sleeping pills may only improve the duration and quantity of sleep but not the quality of sleep in long run. Juliet was feeling better and her sleeping quality has improved remarkably after completing the program. Besides, a good sleep at night has brought down her anxiety level. Apart from the cutting-edge therapies, some sleep hygiene tips were given to help her sleep better. For example, stop using her phone at least 30 minutes before bed and reduce her coffee intake or any beverage containing caffeine after 2pm. Moreover, Juliet needs to monitor herself that she needs at least 8 hours of sleep every day instead of 6 hours which previously she thought it is enough for her. Sometimes she is having insomnia, then she would need to practice self-hypnosis techniques tailored for her and shortly, she will be able to fall asleep easily. Juliet’s ability to focus has improved and interestingly, she lost about 5kgs in just 3-month time without any strict diet plan! The reason of her weight loss is simply because she has better sleep quality now. What is neuro-hypnotherapy and EEG biofeedback therapy? Researchers at Harvard University found that hypnotherapy actually promotes faster healing. Many insomniacs have tried this intervention with great success. Under hypnosis, you might work out any personal issues that are robbing you of sleep. A clinical hypnotherapist can also "program" you to sleep. Our neuro-hypnotherapy technique is first of its kind in Malaysia which is able to help you to improve your sleep quality. Personalized self-hypnosis method to fall asleep will be developed based on your brainwave response. 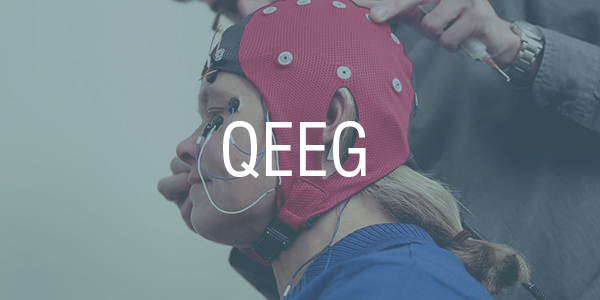 EEG biofeedback or brain trainer is based on the international standardized 10-20 electrode location system. It is essentially a way of teaching you how to self-regulate your own electrical activity in the brain and strengthen your sleep spindle activity indirectly. A powerful tool for helping people fall asleep and stay asleep. 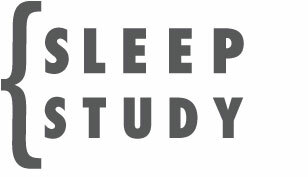 People who produce more frequent or greater amounts of sleep spindles than the average person require a higher decibel noise level to be roused out of a sound sleep. As we age, we produce fewer spindles and are more sensitive to noises around us. This can be one of the explanations why older people don't seem to sleep as well. So are you getting at least 7 hours of sleep? Do you wake up feeling refreshed? If not, contact your healthcare provider as soon as possible.